Power extension cord connect from monitor to computer 3 prong IEC-320 male plug to standard IEC-320 3 prong female Power Cord. 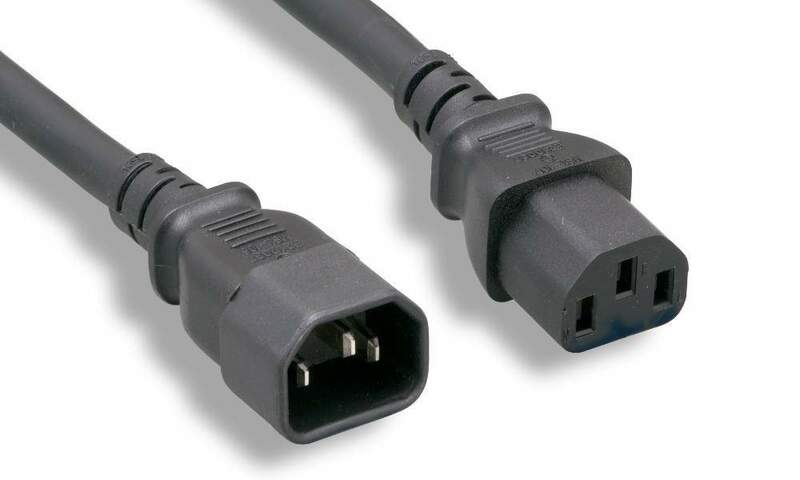 UL power cord between power supply and monitor. Used on Switching power supply to control the monitor from the PC. Used also an Extension of IEC 320 Power Cable. P36L8859 made by FELLER US CORP.